Anyone who follows my Twitter stream (and if you don’t, why not? ), will have seen that I was rather taken with a certain item on the news yesterday – that’s right, it’s the story of HP buying Palm for $1.2 billion. It’s a story that grabs my attention and interests me in more ways than one. But let’s start at the beginning. Way back when I was only a child, my first mobile device was a Palm Pilot (don’t ask me to name the model), which I loaded up with games and used as my first digital notepad. Its lack of connectivity to…well anything, always disappointed me, but I always knew that the palm-sized computers would take off one day. I forget whether my next device was another Palm device or not, but I can say for sure that after I was done with Palm, my next mobile device selection was a HP iPaq (which seems quite poetic now!). Again, this was before mobile technology really strayed over into the PDA world, and even with the wireless card that plugged into my SD card slot, still felt disconnected and very limited. Fast forward a few years and mobile phones replaced the PDA and the ‘Smartphone’ has replaced the mobile phone as we knew it back then. When the announcement came that Palm would be entering this space with the Palm Pre and the tech crowd seemed to go wild for the device, I knew that I had to have one (after all, I knew I wouldn’t buy the Apple device). Despite some reviews of the Palm Pre out there on the web, which seem to praise the webOS software, yet aren’t so complimentary about the hardware device, I have to admit that I actually like it. For me the keyboard buttons aren’t difficult, it feels pretty solid (though the slider could be a little better and can see why some people may think it’s a tad flimsy), and it actually looks quite pretty. Unfortunately, the device didn’t do so well in terms of sales. It’s not difficult to see why; Palms advertising campaign practically bombed, the iPhone had already been long established and applications were in short supply. Palm’s stock price began to slide – and recently rumours were that bankruptcy was inevitable. The company had already made the move however to start looking for a potential buyer, the favourite being smart phone manufacturer HTC. However, just days ago HTC announced that they would not be buying Palm. Right now, HTC have their own set of problems – they are being sued by Apple for patient infringement and both Google and Microsoft are circling with strategic movements around them to both protect the device manufacturer and also claim them as their own as the Android and Windows Mobile platforms go head-to-head in the smart phone arena. 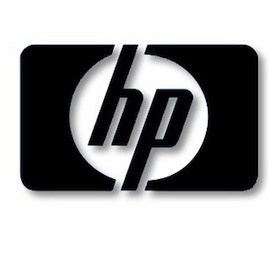 But then completely out of the blue HP announces the acquisition of Palm, Inc., saving the company that has long been associated with mobile devices. I said at the start that this deal interests me in more ways than one; being a bit of a fan of both companies, the fit seems perfect to me. The “Palm” name and brand will live on, albeit in a “HP” guise and with their help and expertise in hardware build and design, they should be able to produce some excellent hardware devices which compliment what seems to be a universal agreement in the excellence of the webOS software. But on the flip side I can totally see why HP would pay so much for the struggling company; it promotes HP right there into the smart phone market, this time not reliant upon Windows Mobile or Android or any other operating system, but with their own platform they are able to build around and promote as their own. That is invaluable to HP who’s previous foray into the smart phone market were perhaps hampered by the lack of development in Windows Mobile and which ultimately saw HTC steal their market share away from them in this space with some clever ‘over laying’ software that managed to hide the ‘Windows Mobile’ experience away from the user with some touch-friendly buttons. More importantly though – I think – is that Palm will bring to HP a springboard into the world of Web 2.0. For far too long now, HP have been outside of what is happening in the changing world of the internet and social networking. The openness of webOS to the online world will open up this door to HP and as Palm already have an AppStore platform with applications for Twitter, Facebook, FourSquare, Yelp and many other ‘online’ platforms, HP by extension will be exposed to these services and Web 2.0 applications. Yesterday, HP re-entered the smart phone market by saving Palm, tomorrow they could disrupt not only the smart phone market but also many other device markets, positioning it directly against all of the big players; Blackberry, HTC, Nokia, Google Android/ChromeOS, Apple and Microsoft. Welcome back HP, lets hope you can unlock the promise of webOS.